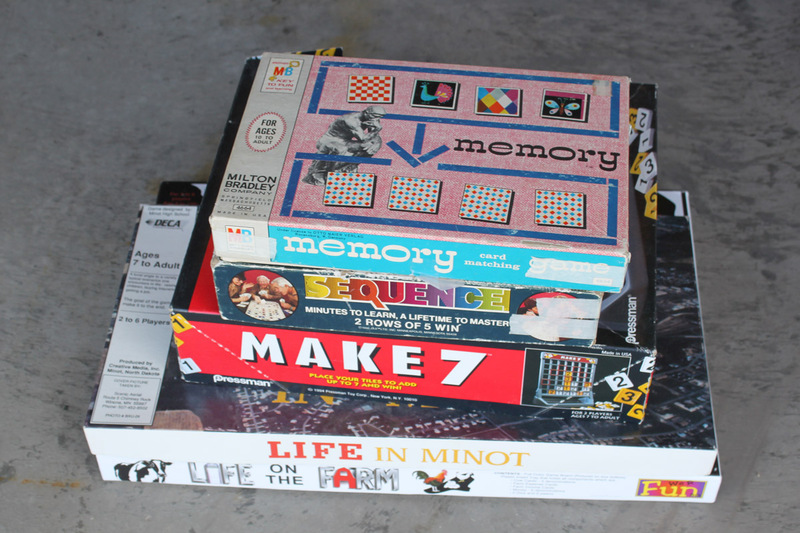 I have been buying vintage games on my treasure hunts, but I don’t think I have shown you any of them. 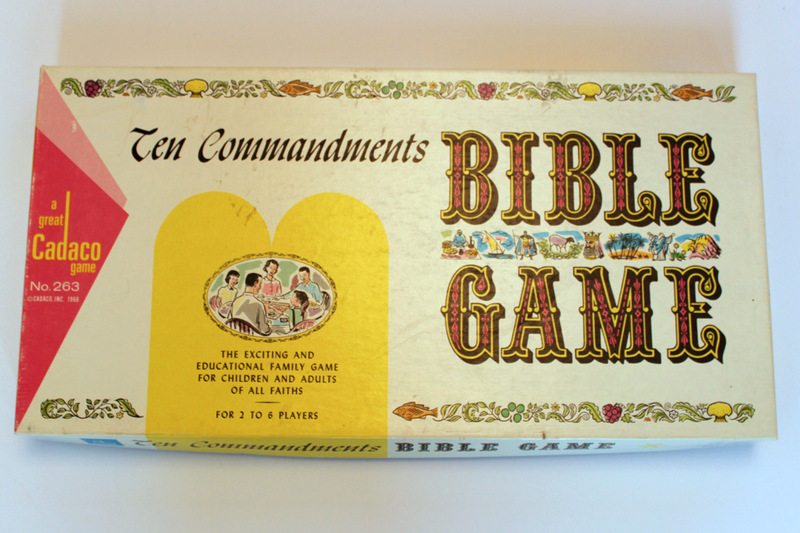 Something about old games…I think it is the box…the color, the font and the graphics. The game at the bottom of the pile is Life in Minot. Minot is a city in North Dakota. A club made a spinoff of the Game of Life for a local fundraiser. 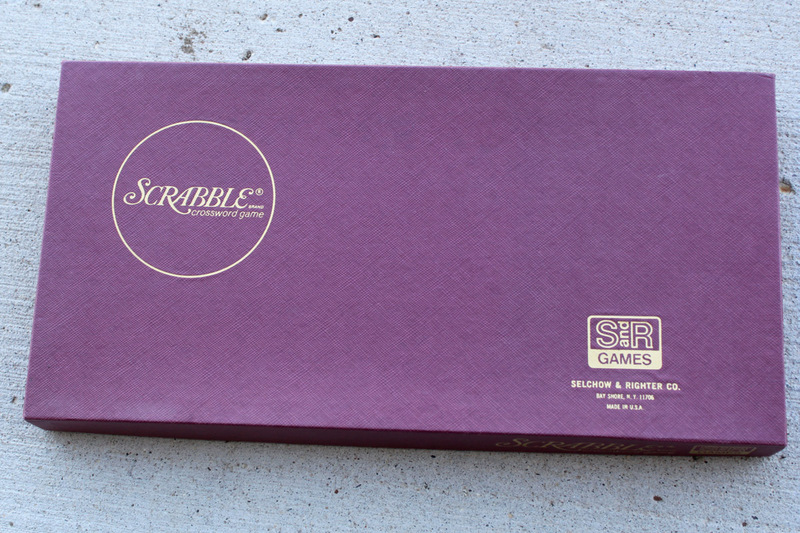 I always pick up old Scrabble games. When I started 2+ years ago, I saw them everywhere. Now I rarely find them. I think many of them have been used to create crafts and jewelry. 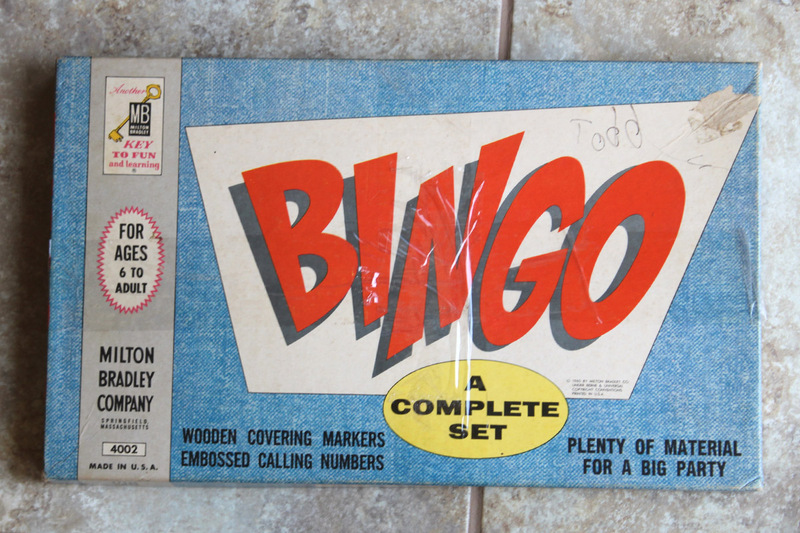 I also pick up any bingo game. Love the cards. I like anything with questions. This Bible Game has fun cards in it. 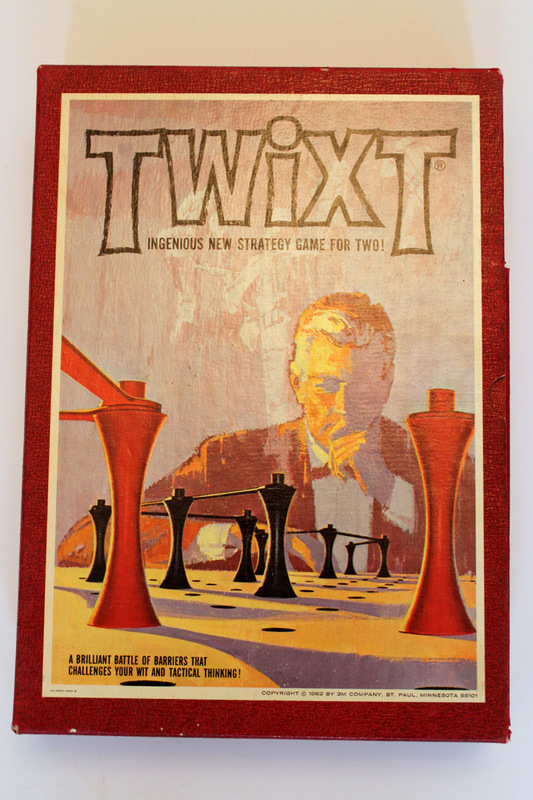 No idea how to play this game of Twixt, but doesn’t the guy on the front look like Moses? 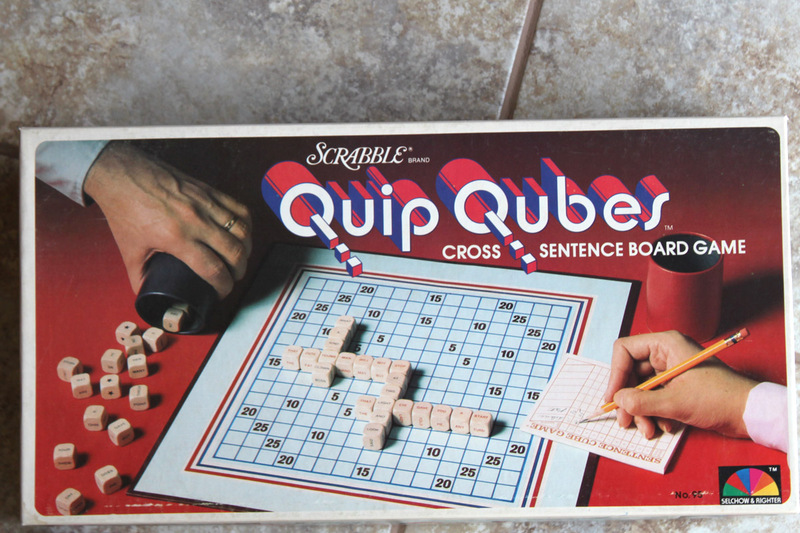 Not sure I would enjoy this game of Quip Qubes, but I love the letter cubes. 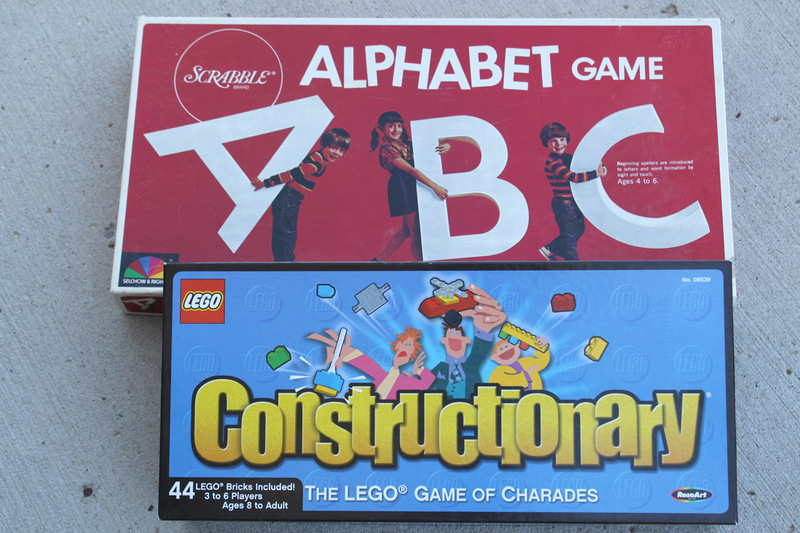 The Constructionary game is staying with us. Anything with Legos is still a hit in our house even though it isn’t vintage. 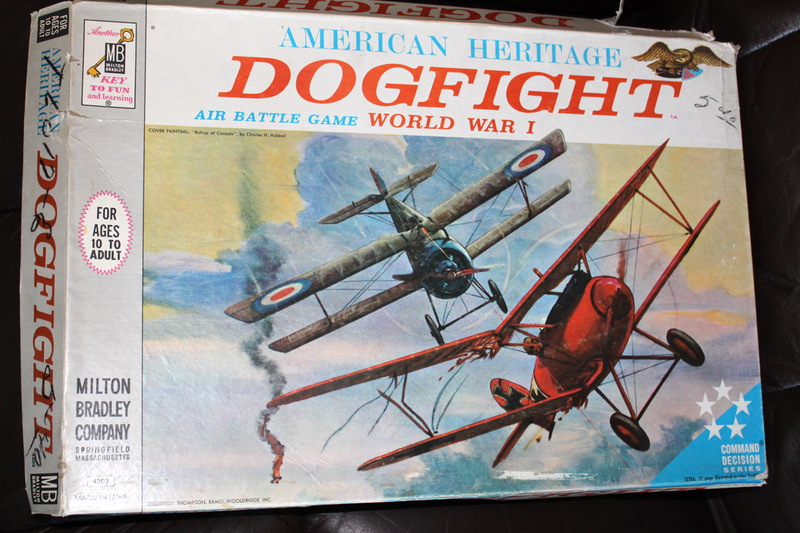 This American Heritage Dogfight game was snatched up by my boys immediately after I took the photo. Haven’t heard if they enjoyed it or not. This one just screams 70s teen age girl fun. 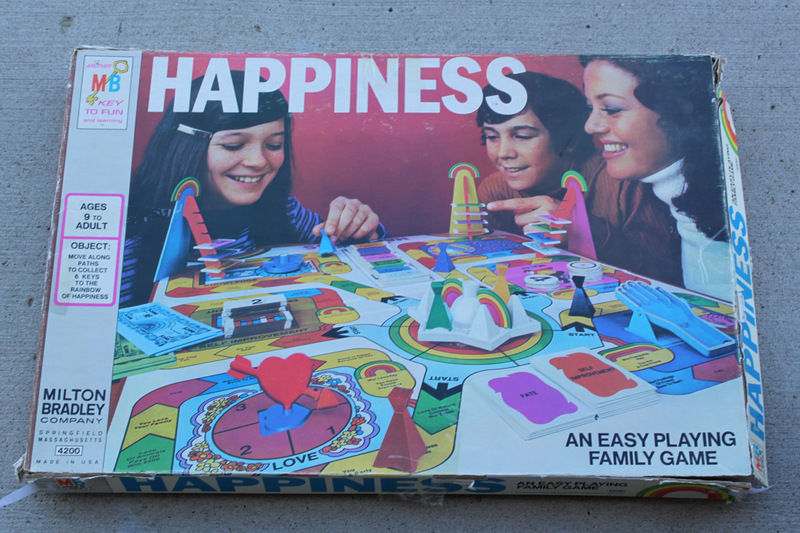 Happiness, interesting name for a game. 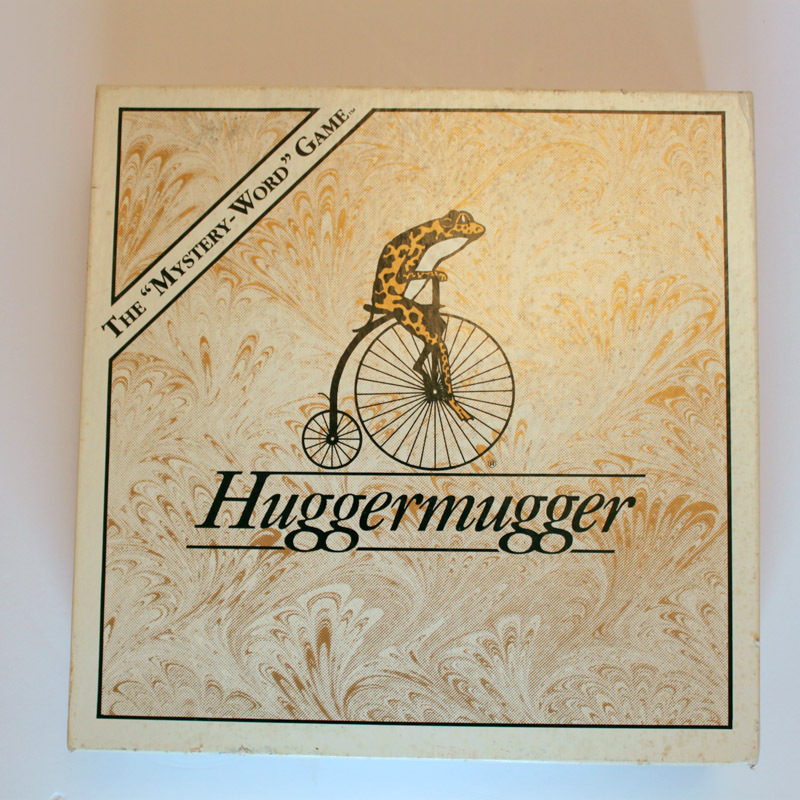 This one I have never heard about before but the name, Huggermugger, is hilarious. Plus the frog on the bike is fun too. I do pick up card games as well. 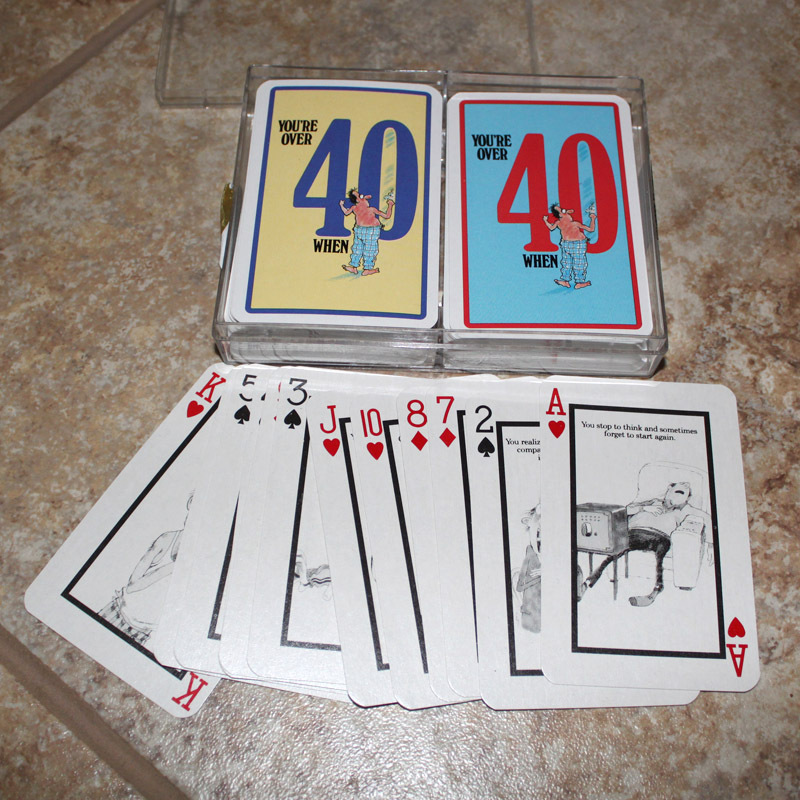 You’re Over 40 When card game could be a great gag gift to someone turning 40. There you have it, my vintage games. Do you buy games during your treasuring hunts? Any favorite finds? This entry was posted in Junkin' Pickin' Finds by Karen Grosz. Bookmark the permalink.